meeyauw: Have Bamboo. Now Need Panda. John and I went to New Haven, Connecticut for the weekend to visit my oldest daughter Anna and her love, Aaron. (There will many photographs as time goes on.) Anna has bamboo and I've been wanting some. She was going to give me some of hers but we forgot. 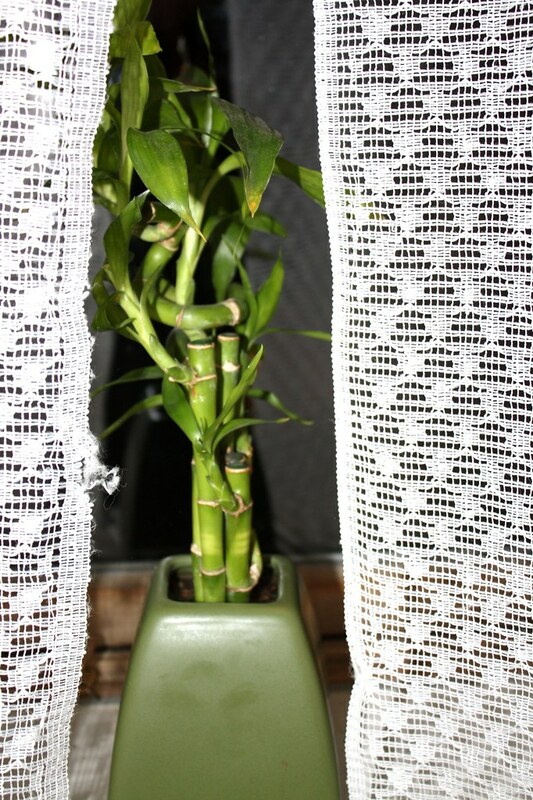 And then yesterday, I found the perfect bamboo at the grocery store (above)! I managed to get one nice portrait of Anna and Aaron at Aaron's new studio. There was another portrait that I loved but Anna told me to delete it. So I did. This portrait is Anna-approved. So now that I have panda bear food, I'm looking for a panda bear. Because the fat, lazy cats are just too boring now. The Chinese call that bamboo "lucky" for some reason or other. For heaven's sake don't put in the garden, Andree, it's pretty invasive. Keep it in a pot. Sorry...can't help with the panda. Maybe the toy shop?? Like you, I also need approval before posting a photo of my daughter. Ah, vanity! That's a great shot of Anna and Aaron. I also like the bamboo. I'm sure a panda would make a good addition to your family, particularly if you move to their habitat, ha. Beware, my cats ate my bamboo to death. Now I only keep some at my office!